West Michigan CDL is acknowledged as the leading truck driving training school throughout the Midwest. We provide advanced equipment in a modern facility with the best truck driver school curriculum. Graduates from WMCDL are viewed as the best in the business. WMCDL is here to make sure you receive the best truck driver training to ensure you have a successful career. If you live in Wayland and are trying to find the best truck driver school, then look no further than WMCDL! We offer job placement and financial assistance options for our students in Wayland. Wayland, Michigan is a city in Allegan County and has an estimated population of 4,070. Students from Wayland pick WMCDL because employers know that our graduates are the most experienced. 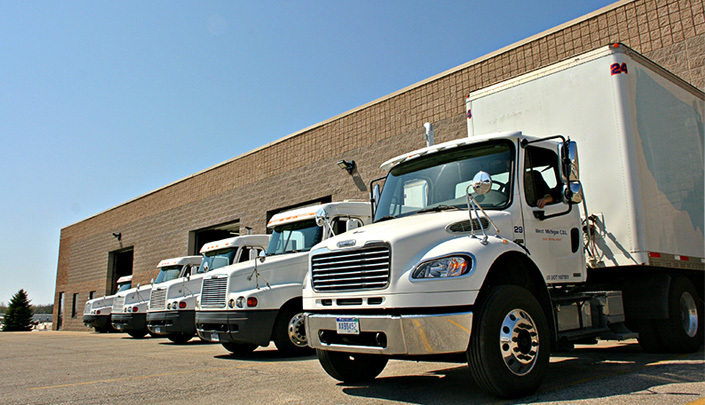 WMCDL provides the most hands on truck driving training and behind the wheel experience. WMCDL has a job placement team that can help you secure a job before you even start truck driver training. You can count on WMCDL to give you the individual truck driver training that will set you up for success. WMCDL is known as the most flexible truck driver school because we offer weekend, daytime and evening classes so that we will fit into your schedule. Our four full week CDL training program is organized in current facilities with cutting edge equipment. The experienced instructors at WMCDL provide one-on-one instruction and personalized truck driver training. The graduates from WMCDL will get the most behind the wheel truck driving training. To get started at West Michigan CDL call today at (888) 550-4947 to inquire about our financing options.